Back when I wrote Sew Organized for the Busy Girl, my amazing tech editor was Joanna Burgarino, and I was thrilled when she became the new editor for Quilts and More magazine last year. 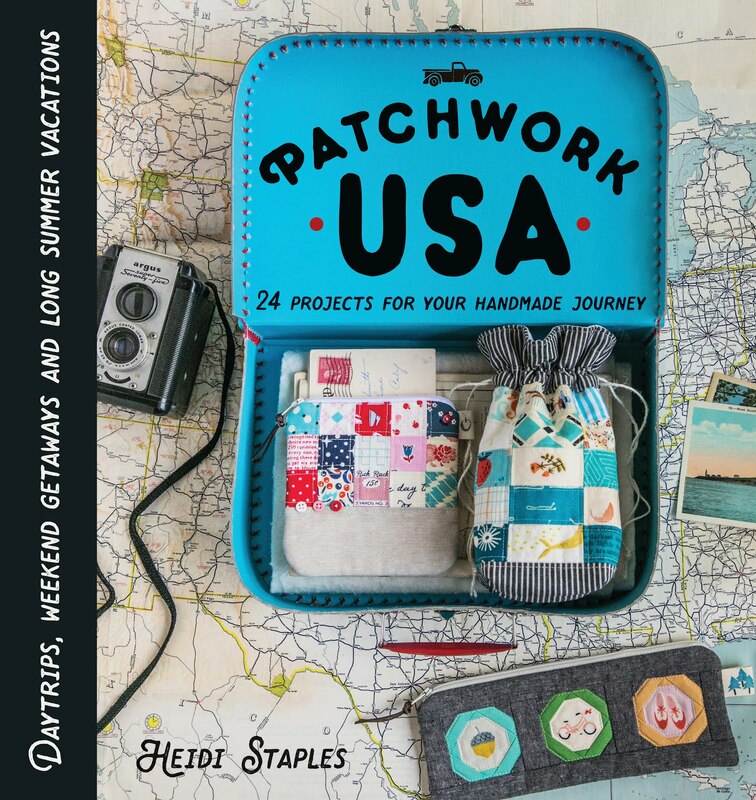 She was kind enough to ask me to contribute a project for the Summer 2018 issue which has just landed in stores. I had a great time designing and sewing up this travel-friendly Jot It Down organizer last fall, and I'm so happy that I can finally share it with you today! The idea for this kit came originally from my daughters. As a mom, I often find myself waiting in doctor's offices or restaurants with three restless girls in tow. 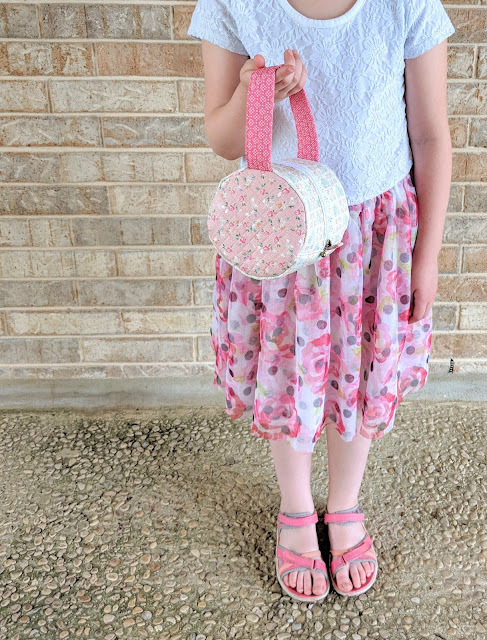 I used to try to keep coloring books on hand, but now that my girls are getting older, they're more drawn to games and activities rather than just filling in a coloring page. 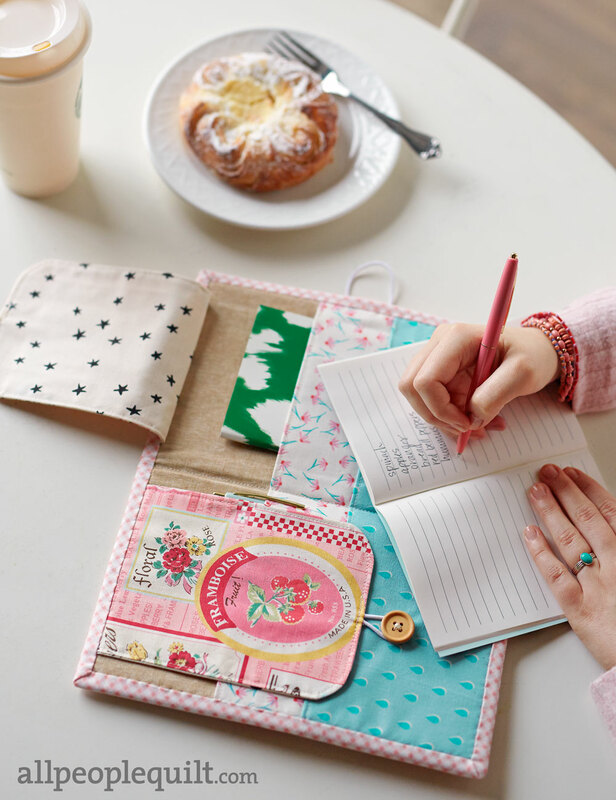 Last year I started keeping a kit in my purse filled with a few memo pads and pencils for those moments of waiting, and it was an instant hit. The girls loved using them to play games of tic-tac-toe, make birthday lists, or draw imaginary characters. 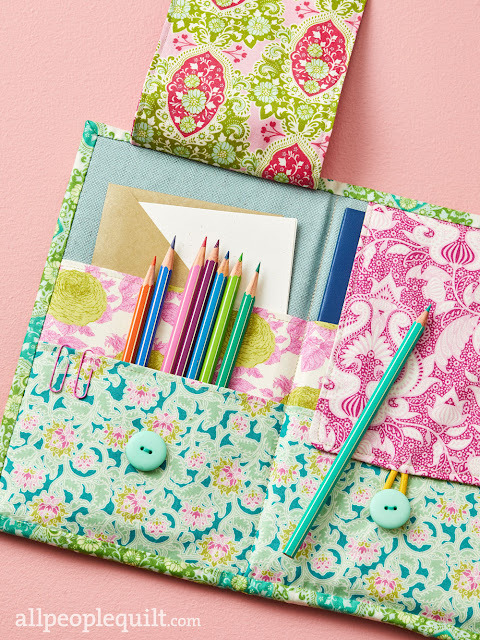 I loved that it was easy to carry, encouraged their creativity, and served as an emergency sketching kit when I had ideas of my own while we were out and about. 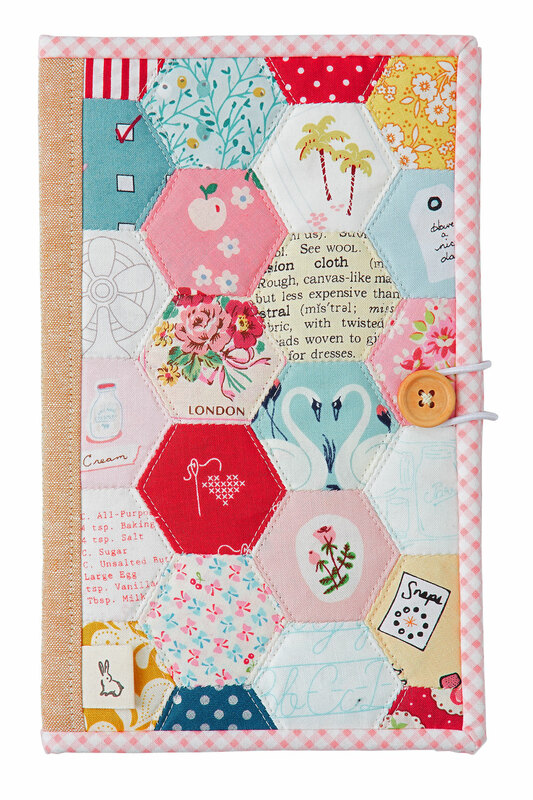 The cover of the kit is made of English paper pieced hexagons -- though there's an option to just use a single fabric if you want to make things simpler and quicker. Small projects like this one are such a great opportunity to pull out the hexies, which are more time consuming but oh so fun to make. One of my pet peeves for these sorts of kits is that the pencils and pads can slide out the top, but I added flaps to the inside which take care of the problem. Extra firm interfacing gives the case a solid feel, and simple elastic/button closures are easy to sew. It's the kind of project you can finish in less than a weekend -- my favorite sort, of course! So many thanks to Joanna and her team for giving me the chance to be a part of this issue and for making the process an absolute joy. 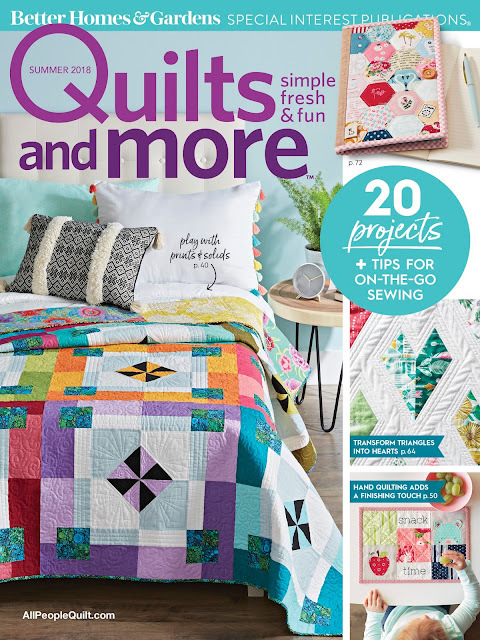 Be sure to pick up a copy of Quilts and More on your next trip to the store. 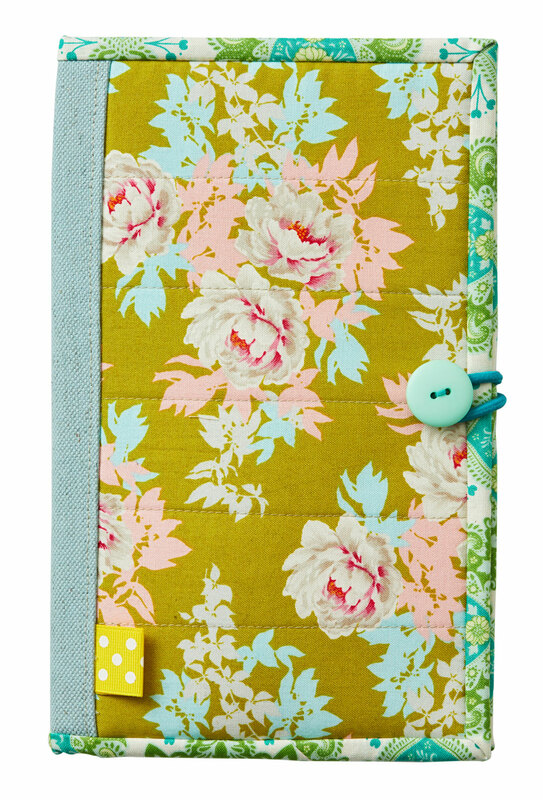 And if you make one of these organizers, be sure to tag me @fabricmutt when you share pictures. I can't wait to see them! I'm typing at my dining room table this morning, looking out the window at the misty green aftermath of a rainy night. The squirrels are dancing from tree to tree, and I can see deer grazing in the distance. My daughters have spent the morning playing spy games around the house with their walkie talkies, reminding me of when my sister and I used to do the same thing in our front yard so many years ago. In a few minutes we'll be heading off to our favorite Mexican restaurant for our standing weekly lunch with the whole family -- and by "standing" I mean that the restaurant has a table set and waiting for us when they open on Saturdays because they know we'll be there. It's been a busy week, full of secret sewing and things I can't tell you about yet, but soon...hopefully soon. I have a stack of projects I've been working on which are almost ready to share and another stack that are going to be consuming every free minute I've got for the next three months. And on top of that I'm trying to wrap up our homeschool year in the next five weeks, so several hours of each day are spent grading spelling tests and reteaching math lessons and the like. Sometimes I wonder how I think I can possibly get away with it, this game of smoke and mirrors that I play, trying to look like I'm on top of everything while secretly flying by the seat of my pants. Yet somehow it all gets done. And when I stop stressing over things and just relax and enjoy them, I can stand back and look at it all with more perspective, remembering again how grateful I am that I get to do all of this. Is there anything better than blending together two things you love? It brings to mind chocolate peanut butter cups and rainy Saturday afternoons and Cary Grant movies that are directed by Alfred Hitchcock. 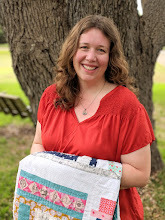 Today I get to share one of those things: a darling vintage inspired collection called Grandale by Keera Job for Riley Blake Designs which I paired with the Rollcake Bag pattern designed by my dear friend Minki Kim. The result is a little girl's dream purse -- at least I assume so, since my three daughters all gasped with delight as soon as they saw it! I've never sewn a bag with a lace zipper before, but I will definitely be doing it again. I absolutely love the delicate accent this adds to the piece. 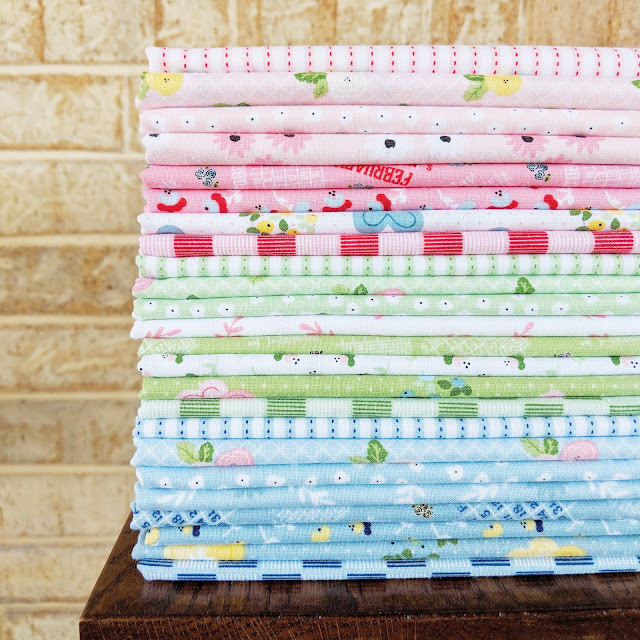 The Grandale prints couldn't be sweeter. 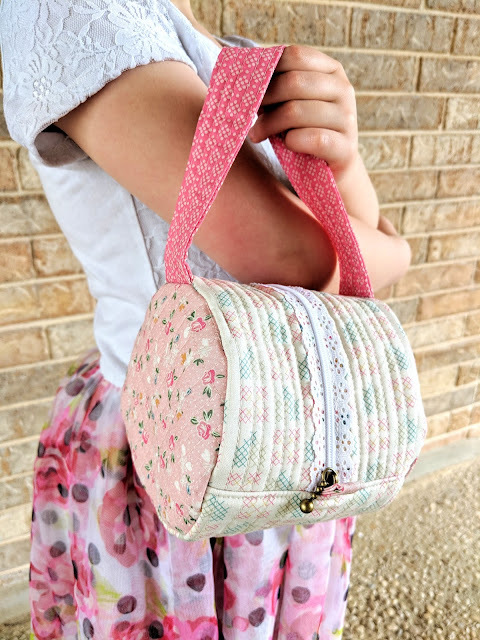 The tiny floral on the main panel and the faux cross stitch print that I used for the gusset are my favorites in the collection. 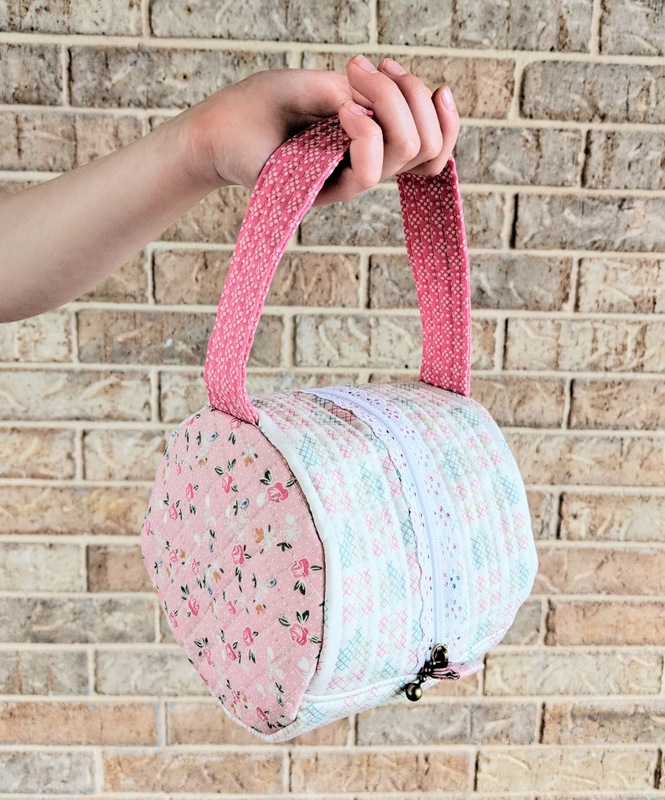 This type of bag is inevitably tricky to sew, but Minki makes it as easy as possible with her great instructions and photos. I had to trim my gusset a wee bit smaller to fit, yet everything came together with no trouble at all. I added crosshatch quilting to the side panels and straight line quilting to the zipper panel and gusset to give them all some texture, and I love they way they look. Even though the bag is small, there's a surprising amount of room inside.